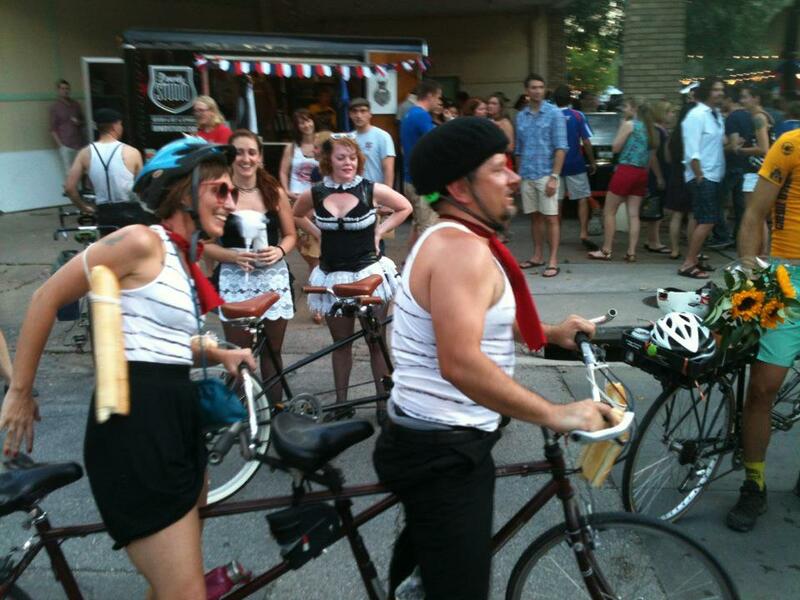 Amongst the 4,000 attendees of the 3rd Annual Bastille on Bishop, a group of hungry racers showed up and competed in the first annual Hot & Sweaty Tandemonium bike race. 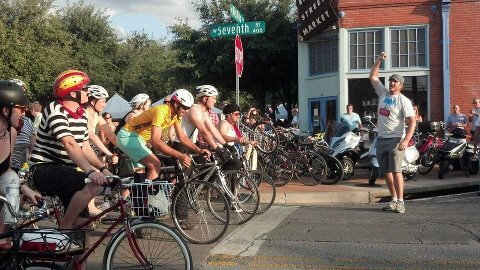 The race started and finished during the event in the Bishop Arts District, traversing over 6.5 miles around north Oak Cliff. 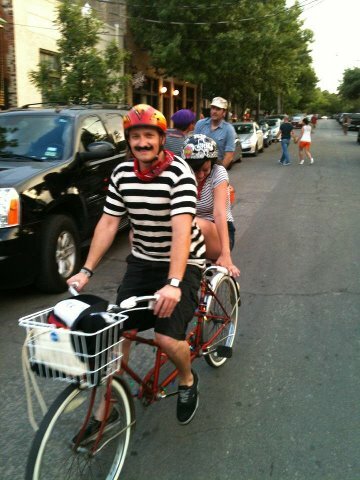 The field of riders were dressed in their Perisian best, doning fake and real mustaches, berets and even French maid outfits. All told, 5 teams or 10 riders competed on an open course, following a prescribed routed from check point to check point. 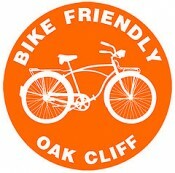 At each stop, riders would have to complete a challenge to be able to continue the race, including dunking one’s posterior into the luke warm and trash filled Lake Cliff for 30 secs. 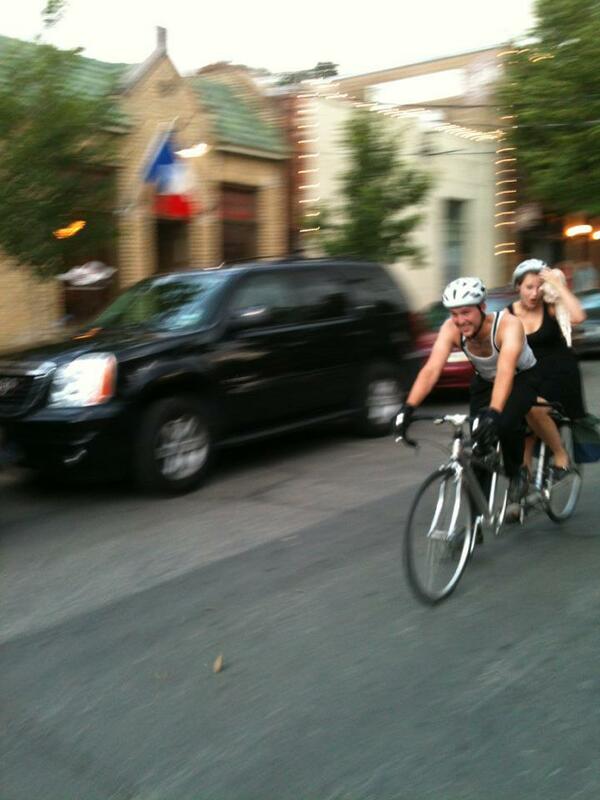 Other challenges were a bit easier, like drinking a beer and answering Texas Theatre history questions. 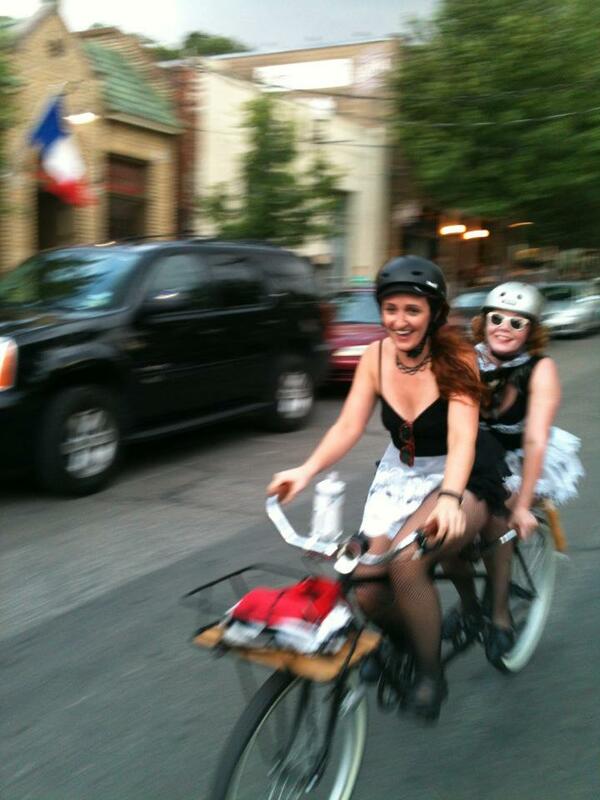 The response was a hearty “Vous êtes génial” or “Awesome!” from the participants and spectators. We want to thank our volunteers, Ean Parsons, David and Janet Lyles, and Grace Pilon for assisting, as well as the folks at Bolsa Mercado and the Texas Theatre! Racer’s at the Starting Line! It is a pity that my ride partner had a conflict so we could not participate and it is a pity that the weather was so hot that day.